translating ordinary movements into 3D sculptures. 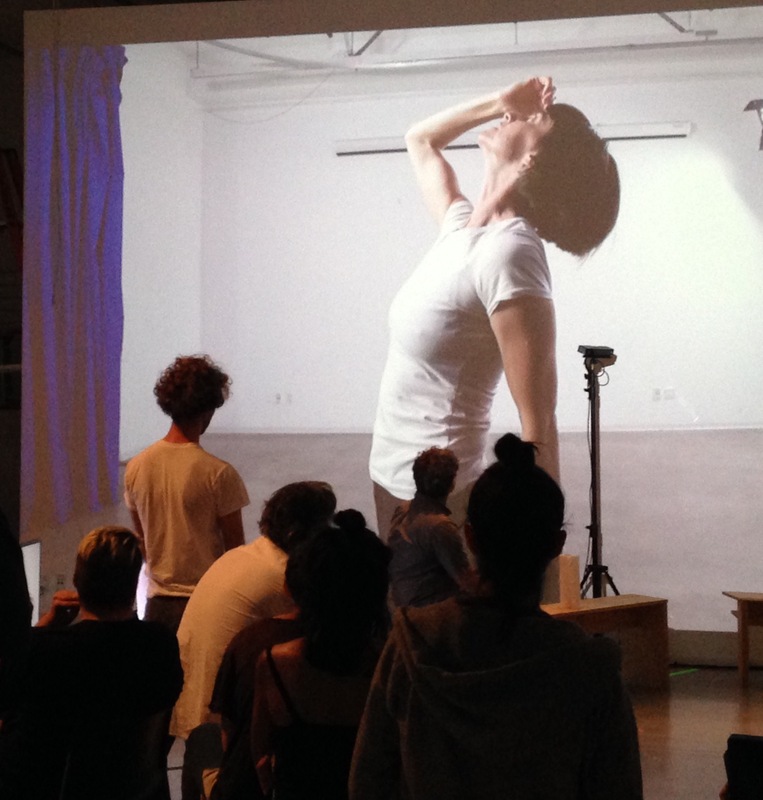 The final day of our Choreographic Coding Lab: CCL 5 was in many ways about capturing motion. Motion. /ˈmōSH(ə)n/ noun. The action or process of moving or being moved. On Saturday afternoon, about 60 colleagues, friends, and observers moved through the EDA gallery space in the UCLA Broad Arts Center in an informal showing of projects, ideas, hypotheses, investigations and whimsy. 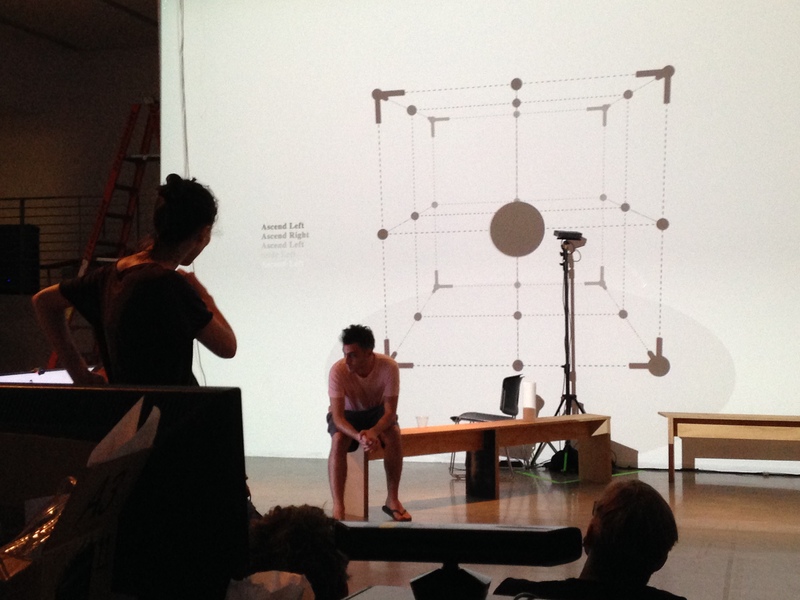 How does the body move – how does the structure of motion capture the intent of the one who is moving? 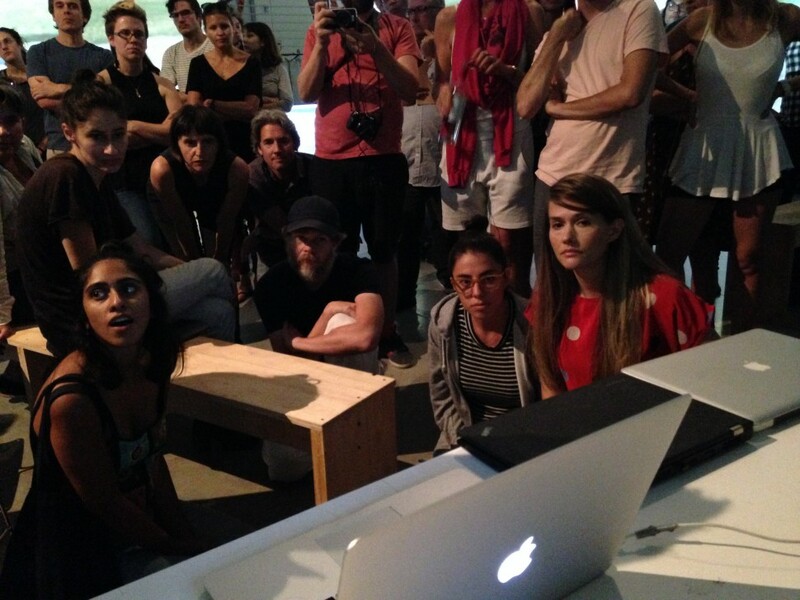 How does an audience or observer, interpret that intent? 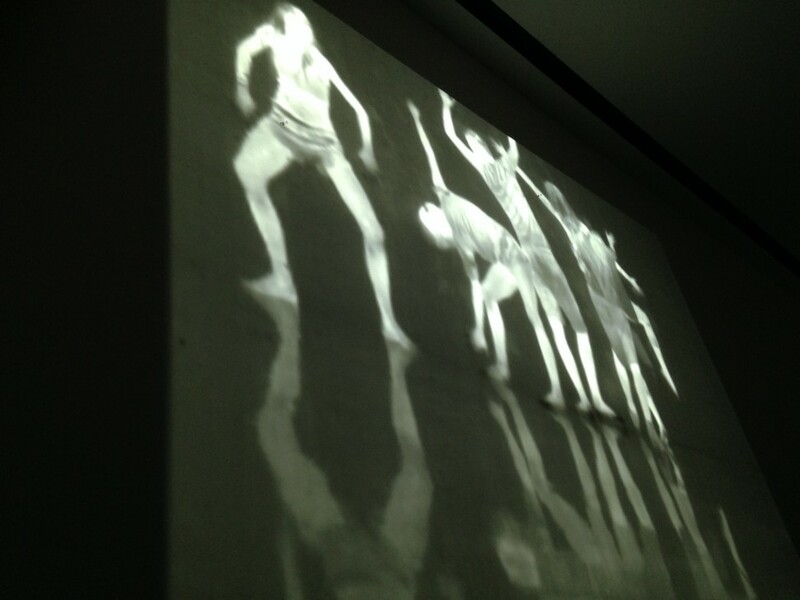 In this final day of the CCL, movement was projected on screens, walls and floors, bodies caught by a thermal camera, a digital paint brush, or a series of lines and dots transmitted via sensors. MōSH(ə)n. We are captivated by it. We can’t look away. Motion. The action or process of moving or being moved. It was such a thrilling experience to be a part of this week, to watch ideas take shape, change, and assume a different shape. It felt like things were being made, sparks were definitely flying. As the day came to an end and the projectors were turned off, and the laptops were closed and the extension chords were rolled and the ladders were struck, the EDA space – our home base for the week – regained its old shape. Empty and quiet, but ready for the next wave of motion.